Game of Thrones has been on for seven seasons now, but we’re still getting a handle on the best way to travel from place to place. And apparently, so are the White Walkers. Just take a look at this hilarious map of all the traveling that Jon Snow and the White Walkers have been up to in the past couple of seasons. Winter *is* coming. It’s just taking its time. Well, the White Walkers are at least. In the last few seasons of Game of Thrones, the action has started to heat up even as the temperatures cooled. Many of the characters, like Jon Snow, have been converging at either King’s Landing, Winterfell, or Dragonstone in order to prepare for the fight for the Iron Throne. And also, for the fight against the undead. But, the White Walkers have apparently just been chilling. To demonstrate this, Reddit user erterbernds67 made a map of the travels of Jon Snow and the White Walkers since the Season 5 episode “Hardhome” in which Jon battled the Night King and his army. 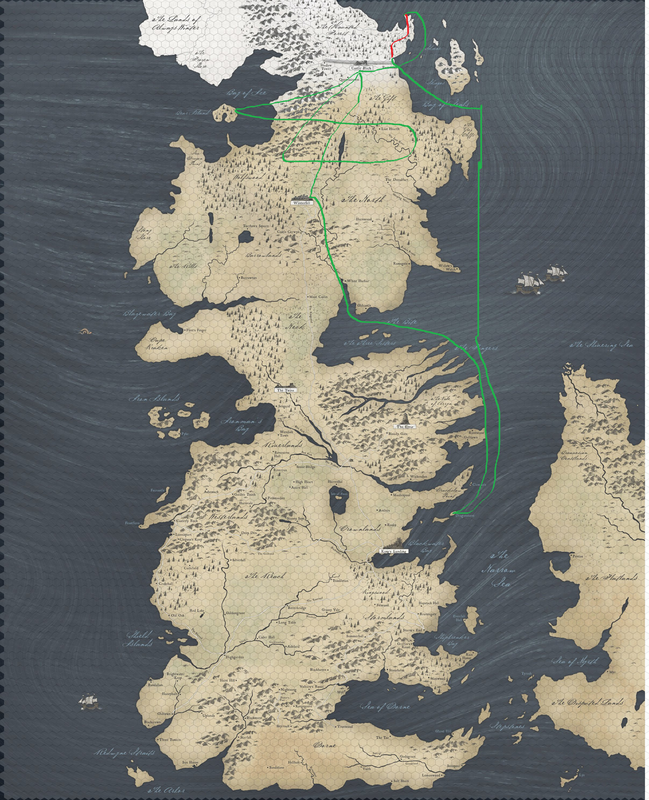 The red line is for the White Walkers and the green line is Jon Snow. Some fans also commented on the fact that the White Walkers are biding their time to attack the south. Whatever happens, it is nice to see a broader look at some of the action in Westeros — even if the speed of travel kind of makes no sense.